We have 3 new Two Elle t-shirts we just got in! 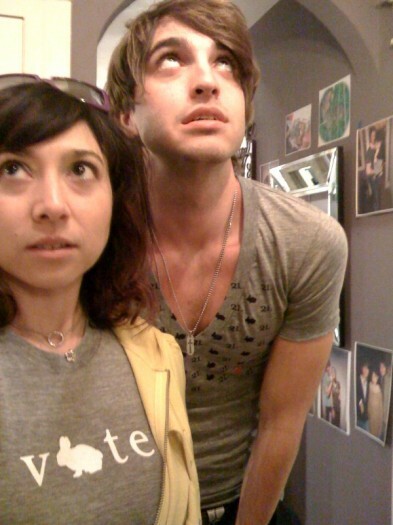 Aside from our usual ‘I bunny 2L’ shirts, come pick up a ‘Two Elle Pattern’ T and a ‘Vote’ T while supplies last. We made them on those really super soft American Apparel shirts! Those super comfy shirts seem to have made their way up to New York. Well, Danny might have brought a few back. Anyway, welcome Jennifer to the extended New York two elle family, she was lucky enough to get one of the shirts! Rachel’s love of all things collegiate has made it so that we stock enough Chip & Pepper University tees to keep a nation of college students and fans clothed year-round! 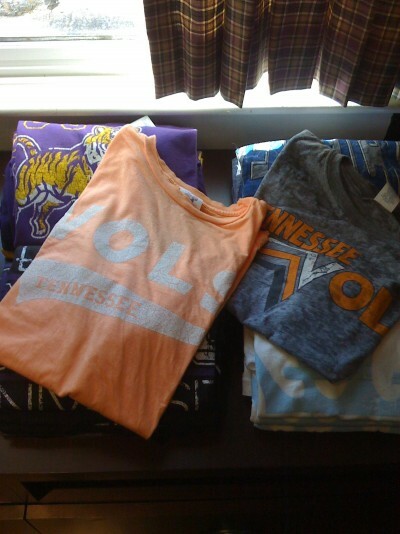 We just got in more Tennessee and LSU than you can possibly imagine!